When my son Jake and I watch TV together, it’s always a challenge. I can take so much of his silly cartoon shows (can a grown adult really watch more than one hour of the World of Gumball and not lose their mind from the stupidity?) and my shows have too much grown up content that he gets bored. So we end up watching movies. I’ve lost track of how many movies we have on DVD and the ones we’ve taped on the DVR. I love all these movies they make for kids. There’s always just a bit of adult humor in it to keep me interested and somewhere along the way, there’s a lesson to be learned. Because we watch these movies over and over and over again, Jake and I tend to quote movie lines to each other in regular conversation. I’m not sure how it got started but it’s become one of those weird mommy-and-Jake things we do. Here’s something that happened last week: We went out to eat at one of those places where you give your name and they call you when your food is ready. 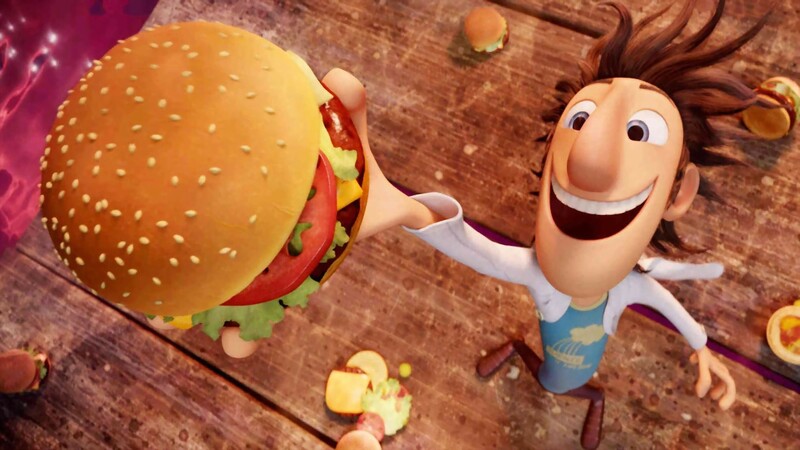 One of our favorite movies is Cloudy with a Chance of Meatballs. We both love the monkey Steve and how he has that ‘monkey voice activated’ thing on his head. Throughout the whole movie, when the monkey’s on the screen, he says “Steve” in this digital-sounding voice. So anyway … we’re eating our food and the waiter comes out with a new plate of food and calls “Steve?” The guy at the booth next to us waves him over. We looked at each other and at the same time said “Steve” and broke out laughing. For today’s Sunday Funnys, I thought I’d share some of Jake’s other favorite movie lines. 1. Horton Hears a Who: In my world everyone is a pony, and they all eat rainbows, and poop butterflies. He usually forgets the part about the pony but he likes to say the part about pooping butterflies. Personally, I think he just uses it as an excuse to say poop. Here’s the new weapon you ordered. Lucky for me, he only repeats the line and hasn’t started doing the burping part. Too funny!! T and I quote movie lines all the time! And, I love the movies, especially the ones for “kids” and I hope that T never out grows them, cause there is nothing like watching the minions on the really big screen! We saw it – and loved it! I’m still such a kid at heart! haha! I love the fart gun! And he makes the fart gun sound too when he says it.